Mrs McKenzie and Mrs Pennington will be updating this page to keep you informed about English in our school. English is organised into reading, writing and spoken language. Across all year groups, the objectives in the new curriculum are covered through fiction, non-fiction and poetry units. The units are planned for to ensure coverage of all genres. Whole class texts are used where appropriate to deliver the English curriculum and encourage children's love for reading. Writing opportunities are planned for across the curriculum and can often culminate in an extended writing session, where the children put their independent writing skills into action. 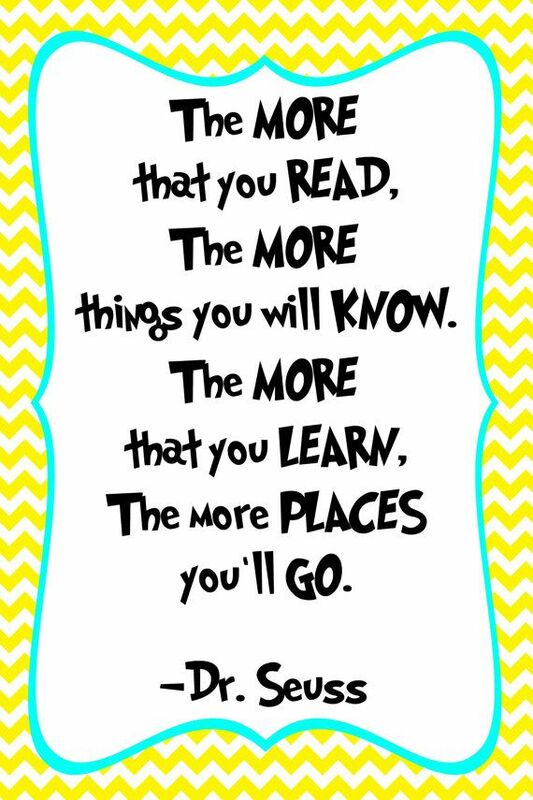 Reading is a HUGE part of what we do at Birkdale and we encourage children to read a wide variety of literature to nurture a lifelong love of reading. All classes have a comfortable reading area with a wide selection of texts for the children to share and enjoy. Starting in the Summer term of Reception all the way through to Year 6, every class has a daily guided reading session for half an hour where teachers record the progress of the children’s reading. The children have reading diaries which provide communication links with parents regarding children's reading. We have a wide range of texts we read during guided reading covering both fiction and non-fiction; sometimes they will be taken from a reading scheme, such as Oxford Reading, or they may be individual texts, extracts or non-fiction works. All Key Stage Two classes have regular access to the School Library where the children can choose from a wide range of fiction and non-fiction books. In Key Stage One, children are encouraged to choose and borrow books from the 'Lending Library' which is ran by members of the School Council. We have held Parent Workshops on Reading and Phonics and repeat these each academic year so they can find out about how to support their children at home with their reading. Children are expected to read at home every night and to bring book bags to school every day. Children are assessed throughout the year both individually and as part of their guided reading sessions to ensure they are reading at the correct stage of banded book. There are a wide selection of home readers for the children to choose from which are book banded. The reading schemes we use are Oxford Reading Tree, Project X and Floppy's Phonics. Once children have successfully worked their way through the bands they have free choice of reading book; this may involve reading their own book from own or one from school. We encourage the children to read their home reading book or their free choice at quiet times to develop their love for and independence in reading. The children enjoy using their reading skills in every lesson and the teachers provide opportunities for this in all subjects, for example teaching children map reading skills using atlases in Geography. Every class has a partner class in the different key stage. There are many opportunities where we get together to share work. In some classes Reading Buddies from the KS2 classes visit their FS or KS1 partner class to read with the younger children and help them with how to read unknown words and talk about the text. This helps to develop the confidence of the older children too! The children particularly love working with their partner classes during Book Week and on World Book Day to share the work they have covered on the same theme. If you would like access to some fantastic eBooks, why not visit www.oxfordowl.co.uk (external link). There are over 260 free books for parents to read with their child at home with lots of ideas on how to support your child with reading. At Birkdale Primary, we use Letters and Sounds to inform our own planning to teach Phonics. In every class from Reception through to Year 2 the children have a 20 minute daily phonics session where they learn about how to read and write using their phonic knowledge. In Nursery, the children have two sessions a week to begin with and experience a lot of other phonic activities through continuous provision. The children play lots of different phonic games which help them to understand how sounds make words and words are used to make sentences. We use the Interactive Whiteboard to play games and learn new phonemes and graphemes. In Nursery the children focus on rhyming skills and listening to sounds; the focus is on speaking and listening skills. As the children move into Reception, when they are ready for this stage, they move onto learning the first phonemes; starting with S A T P I N. As the children move onto Year 1 they begin to look at how the same sound can be written in more than one way. Then as they move into Year 2 we look at the range of phoneme-grapheme correspondence (the sounds – letters correspondence). Once the children are secure they move onto spelling rules and applying their spelling strategies. At each stage, the children are grouped according to their phonetic ability to ensure we plan appropriately to their needs. See below for the handout that was given out at the parents' workshop for Phonics for further details on how to support your child with their phonics and reading at home. Our aim at Birkdale Primary is to inspire children to write and to love writing! Throughout the school teachers plan writing opportunities that make writing meaningful and fun. Children need to recognise the different purposes for writing. We cover these through ensuring throughout children's time in school they will access all the different writing genres in fiction and non-fiction. From Reception to Year 6 there are clear steps in progression in writing which enable children to build on their prior knowledge and extend and apply their new writing skills. Children learn best when they understand the purpose. Therefore, at Birkdale, we strive to make as many links as possible to whole class texts. These may be stand alone texts that will inspire the children, for example Y6 study 'Cirque du Freak', or they may link to the topic children are studying in another subject, such as in Y3 they use 'Cave Baby' to link to their work on the Stone Age. The reading to writing process is crucial to getting the best out of children's writing. We spend time immersing children in the text and analysing the different features so they understand the style of writing. Then they are ready to practise writing in the same style. They apply this at the end of a unit of work in an extended writing piece. Otherwise known as Spelling, Punctuation and Grammar. To ensure children understand the purpose of grammar, we teach it within the context of the text we are looking at. We work together to ensure there is progression and challenge across spelling, grammar and punctuation throughout the whole school. Spelling in EYFS and KS1 forms a huge part of the Phonics daily sessions. From Y2 onwards, children follow a structured spelling scheme which provides a number of sessions over the week to revisit and apply their spelling knowledge and understanding. Presentation is an important part of children having a sense of pride for their work and we encourage children to complete work to the best of their ability. We have recently introduced cursive handwriting from EYFS. Children are exposed to both the printed style of letters and the joined version. However, when learning to form the letter they are taught the pre-cursive formation. This involves starting all letters on the line, moving in a clockwise direction and finishing the letter so that it would be ready to join the next. Please see below for the attachment with our school formation. Our Reading Improvement Group is bigger than ever this year! We have an army of over 20 parent helpers coming into school. It is fantastic how many extra reading sessions children are receiving through this.....so many THANKS to all those who have volunteered! If you would like to join, please contact Mrs McKenzie. Book Week this year lasted for two weeks from Monday 19th - Friday 30th September. Each year, we have a whole school focus to encourage pupils to share texts and their work they have produced throughout the week. In the past we have covered poetry, 'Voices in the Park' by Anthony Browne, David Walliams' stories. This year we celebrated the 100 year anniversary of Roald Dahl and each class planned work around a text of their choice. During the two weeks the Book Fair was open for parents to purchase books for their children. Upcoming for the Spring term...................READATHON!!! To continue fostering children's love of reading and to tie in with World Book Day, we will be launching in March a sponsored read. Further details will be sent home and please keep posted to see how successful the event is. Why not visit PhonicsPlay and Family Learning (click on them for the links) to play some games and see for yourself! Please see below for an overview of the end of year objectives for each year group for both reading and writing. How to Help With Reading Leaflet.